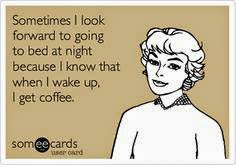 Welcome by again today, sweet friends! 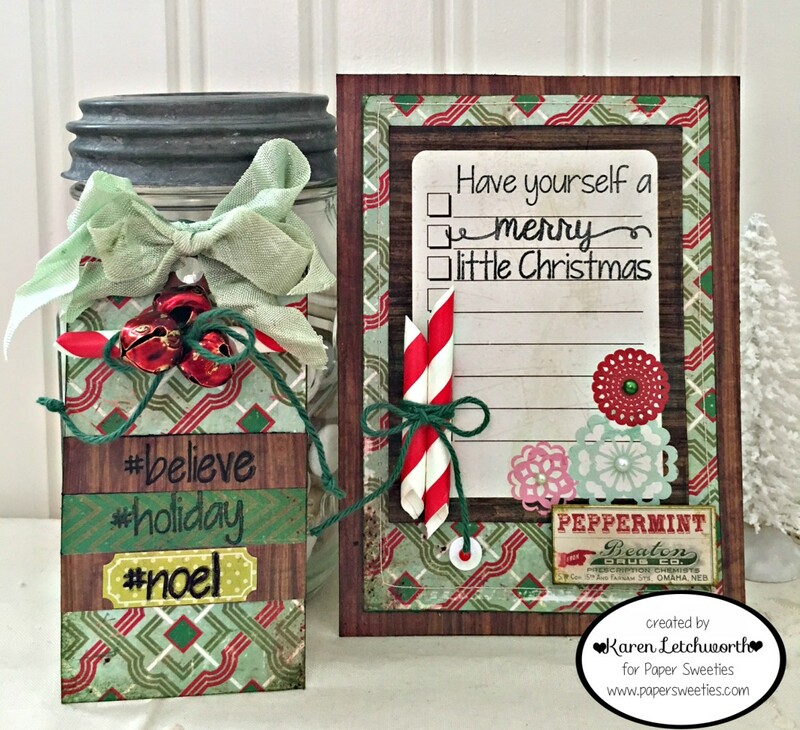 Today is the final day of the Paper Sweeties November new release, and Paper Sweeties friends and I are sharing a few more projects with you featuring these ADORABLE new sets. 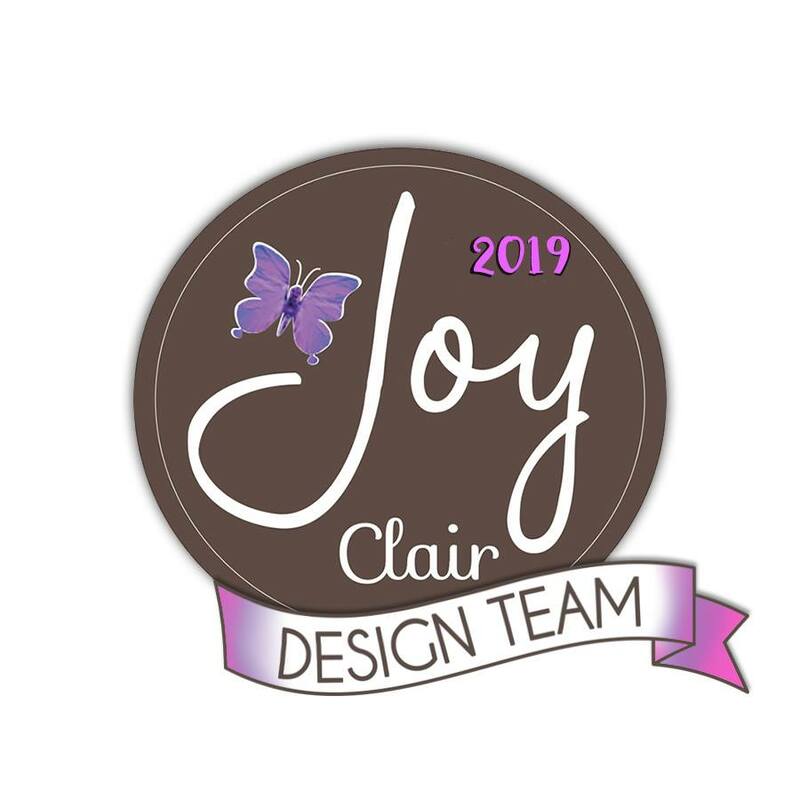 I hope you've enjoyed seeing all the fabulous inspiration using the brand new sets. 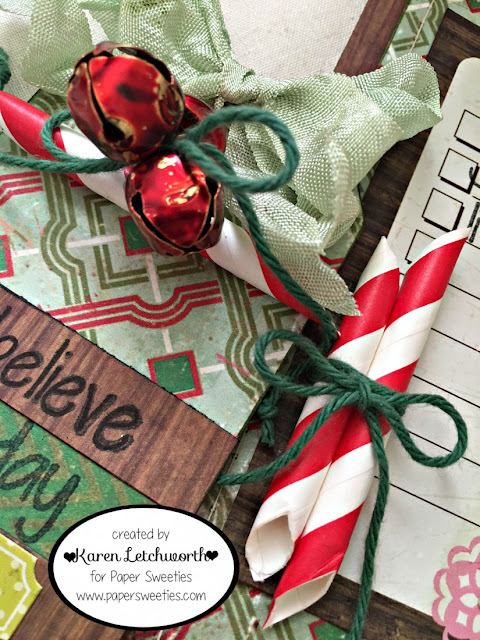 Today I'm sharing a card and tag set I made using the brand new You Better Not Pout set, and I created a cute little embellishment by using some Strawberry Paper Straws that I wrapped with Solid Green Baker's Twine. These adorable Paper Straws come in several sweet colors, and can be used in so many creative ways. 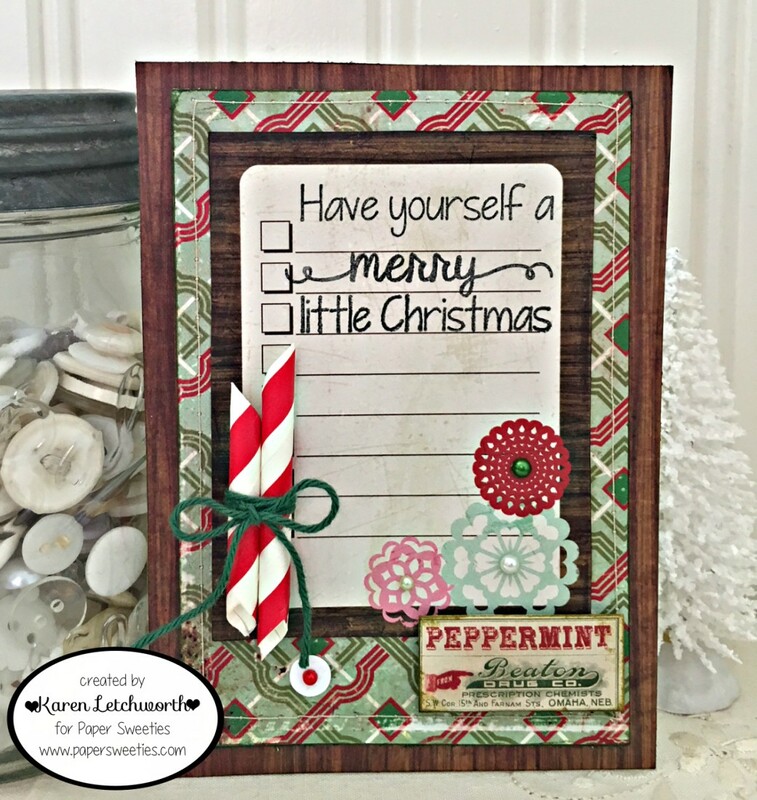 These sweet new stamp sets from Paper Sweeties have so many lovely sentiments in them, and you'll be able to create lots of great Christmas cards with them. I haven't been able to put them down since I got them. They're both just SO cute! Well, I couldn't stop with just one card. I had to make a matching Christmas Tag to go with it. 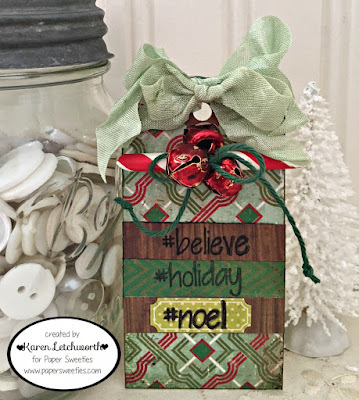 I used the same patterned papers, and then stamped the #hashtag sentiments from the new You Better Not Pout and Meet Me Under The Mistletoe stamp sets. These trendy hashtag sentiments are SO much fun, and the images are adorable as well. 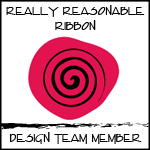 At the top of my tag, I placed a bow that's tied with two lengths of Mint Seam Binding. Paper Sweeties carries several gorgeous colors of Seam Binding, and this is another lovely way to embellish your cards and projects. I love adding contrasting colors as well as those that match perfectly. 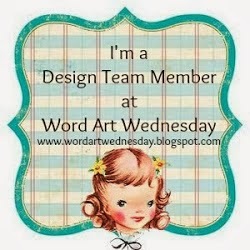 It's fun to do both...and I encourage you to try some of these sweet colors to embellish your cards. Aren't those Paper Straws cute? If you've never used them in your crafting, I encourage you to pick some up and give it a try. They can be cut into smaller pieces as accents in your bows, or used to create a frame for your sentiment. The possibilities are endless. Just let your creativity run wild! 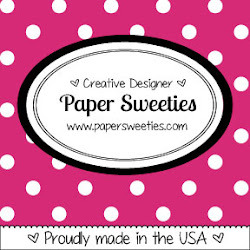 Paper Sweeties has so many great products to help you create something sweet! 25 Days of Christmas Tags - This tag I'm sharing today was inspired by Galina Flippenko on Day 11 when she used the cute striped red and white candy canes on her tag. I decided to use the red paper straws to replicate her adorable striped candy canes. Yummy and cute! I sure do like your duo. Such a pretty card with matching tag. Just adorable...love your sweet tag and those fabulous jingle bells. 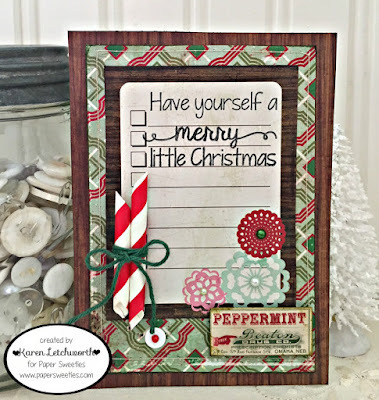 Thank you so much for joining Tracey's 25 Days of Christmas Tags. 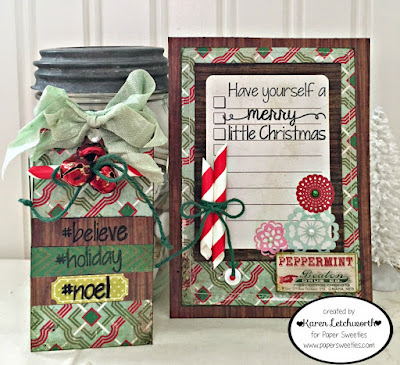 Beautiful Christmas tag and card, Karen! Love how you incorporated the straws!! 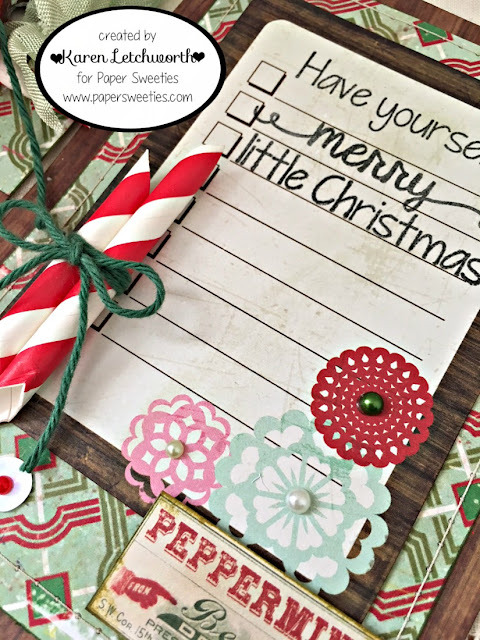 Wonderful patterned paper and jingle bells, too! So cute. Love the layout design and all the elements you used. Your card and tag are gorgeous, Karen. What a clever idea to add the striped straws to your card. Your lacy flower embellies are beautiful, also. Karen, this card and tag are just beautiful. Love how you used the straw. What an adorable Paper Sweeties card and matching tag. I love how you used the paper straws so creatively. I need to buy some and give it a try.